The setting is serene and beautiful, so why not enjoy it fully on your private patio or balcony. The generous, inviting spaces of our apartment homes provide all the amenities you need to live the life you want, including private entries and full-size, in-home washers and dryers. The meticulously manicured grounds are ideal for taking a walk with your dog or cat. 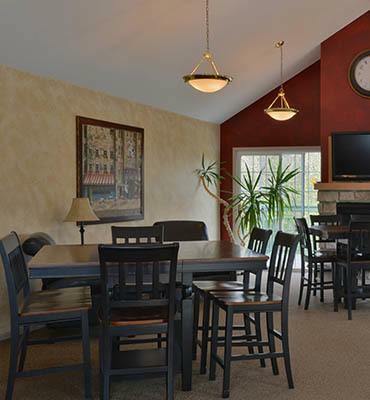 You are sure to enjoy all the amenities the Ridges of Geneva East has to offer.